The Bembridge Bookworms been getting together for some years now, meeting roughly every six weeks. 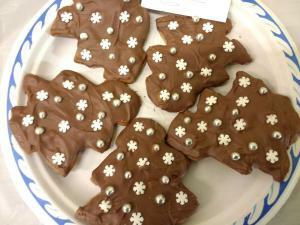 It is a bit ad hoc, especially as we get into summer. You don’t need to buy the books as they are ordered through the library service. Depending on the number of copies we can get, it may be necessary to pass a book on to another reader within the group. We have somewhere between 2 and 4 weeks to read any one book, although sometimes it is longer. When we get together to discuss the book, our discussions are sometimes very cursory and sometimes more in-depth, but for many of us, and certainly me, what I get from this Book Club is reading books that I would not otherwise have read. There have been occasions when no-one has finished a book; but no-one is made to feel that they should have read a book that they hated or ‘could not get into’. What we try to have is an enjoyable evening out! These evenings are always fun and relaxed, with lots of chatter. If you are a member or have paid as a visitor, you are welcome to join us that month. If you would like to read the current book let me know and I will try to get a copy to you. Details of our next meeting can be found in our Events calendar on the right. 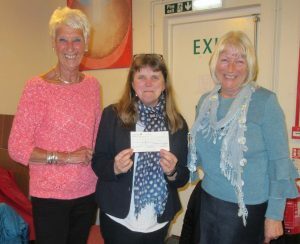 In April 2018, Brenda and Pam proudly presented a cheque to the library service to fund two sets of books for the island’s book clubs. This money was contributed by our wonderful and generous Bookworms who wanted to show their appreciation and give something back. During 2016, we collected £100 and have chosen to donate it, appropriately, to the Book Bus charity. Several of the Bookworms are retired primary teachers, and we thought that the Book Bus would be an excellent charity to support since it focuses on children, providing books, and creating a love of reading in places in the world which most likely are robbed of these opportunities. 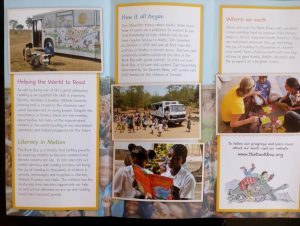 Ten years ago, The Book Bus sent its first book-stuffed bus to Africa, and since then has brought the joy of reading to over 100,000 children in Zambia, Ecuador, India, Malawi and the UK. Their staff and volunteers have helped young imaginations run wild with 500 kilos of crayons, 125,000 pencils and 20,000 goggly eyes. They have also clocked up a huge mileage to donate 90,000 books to 169 schools, create hundreds of dedicated reading corners and built three brand spanking new community libraries. 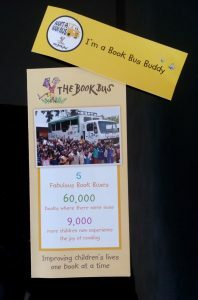 So, we, the Bembridge Bookworms, are delighted to be able to add our support to the amazing work of The Book Bus.